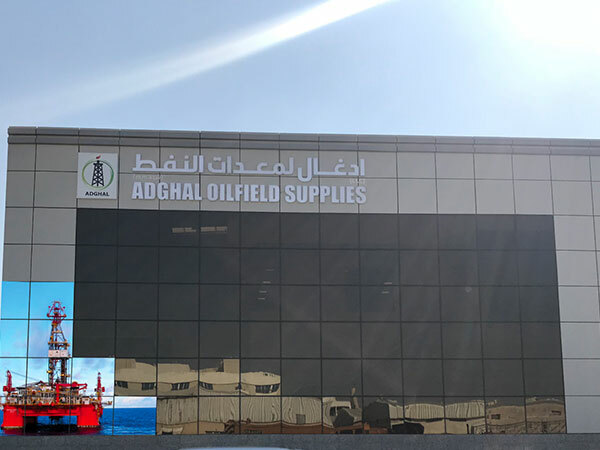 Adghal Oilfield Supplies L.L.C was founded in 1996 for the supply of Engineering goods throughout Gulf region and since 2001 we provides specialized services, equipment & spares to Oil, Gas, Power, Marine, Defense and Industrial projects all over GCC and North Africa. Directors of Adghal are well experienced professionals with leading edge expertise in Energy and associate sectors. Adghal has quickly established itself with a reputation as a complete Supply Chain Solution provider integrating each separate link in the chain - Sourcing of quality products, Procurement, Logistics, Inventory and Production liaisons with reputed Manufacturers, Distributors and Suppliers around the globe. As a part of our expansion we have established offices in Dammam, Abu Dhabi, Bahrain and Houston TX to support our continued growth and sourcing requirement. Other than our aforementioned offices, we have formed strategic business partnership with established supply houses in Libya and Egypt to broaden our geographical reach. We strive to forge lasting relationships with our customers based on consistent performance. This we achieve by assuring utmost attention with best services, quality products, competitive pricing and prompt delivery. At ADGHAL, we always welcome new customers and relationships. If you want to contact us about any issue please call +971-4-2679402 or send us an email. If you would like to submit a proposal for consideration simply get a quote. Adghal Oilfield Supplies was founded in 1996 for the supply of Engineering goods throughout Gulf region.